While Glen and I were at Knob Noster State Park hiking the trails we saw lots of neat things. There were a lot of oak trees that have dropped a lot of acorns. This one particular acorn caught our eye. 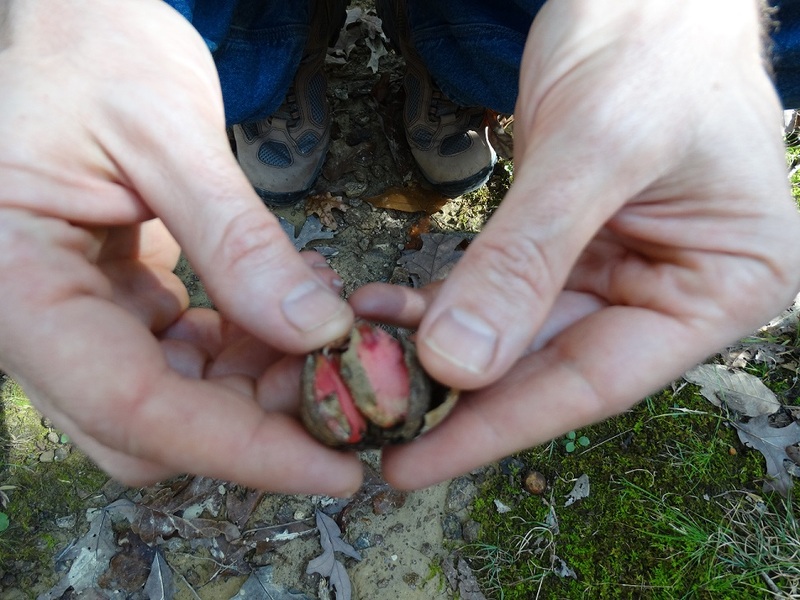 It was cracked open so we could see the nut inside, which was reddish in color. I have never seen an acorn with red meat and I am not able to find anywhere on the “all knowing internet” as to why it would be red. We did get a lot of rain last week and maybe it had been soaking in some muddy water and the tannins in the nut made it turn red…..that is my best guess.